I would share what industry they are in, but it is so specialty that that would likely also clarify who they are and their promised anonymity would be lost. Needles to say, it is a firm in Beverly Hills and one which used more of an offline approach (i.e. think “cocktail parties”) than online. Truly, who this company is or what they do is irrelevant to the issue. The only point of relevancy is how much they care about their reputation. That is normal for Hollywood. There are gains and losses on a daily basis. Just watch the Kardashians Reality Show, and it makes sense. It is also normal that you should care, as well. Oh, not to the level of frantic or the next Reality TV Show, but at least a basic knowledge of the topic of Online Reputation Management. You see, my friend thought that you could just phone up Google and ask them to eradicate anything that you didn’t like. Yes, it is true that I have connections, but that simply isn’t the way it is done. Calling Google may be done that way in extreme cases (i.e. Government involvement or when there is a risk of information leaking out on a court case), but it isn’t available to the rest of us, just because we experience something that we feel is untrue (a.k.a. “bad press”). Don’t quote me on that! Another story involves a well-meaning, quality college. (Like there is one that is not a quality college?) Well, what I mean is that the college did not deserve the bad press it was getting. Some realistic reviews may be in order, but not slamming a college that hadn’t really done anything wrong. In this case, a particular individual decided to “take it out” on a college that she felt was responsible for her bad home life. Go figure. No, let’s not. Let’s just leave it with 1) in my opinion it was unmerited (the bad press, that is) and 2) it was extreme. This one woman singlehandedly filled Google SERPs with the nastiest things possible. Let’s say that if an attorney needed some extra cash, there were likely liable suits waiting him or her. The solution really was not that difficult. I even volunteered to do it for free (in exchange for free room and board while I visited the college). However, it appeared that the college didn’t want to make waves and “just wanted to be nice.” Ok, I get it, but I have probably spent too much time in Corporate America and wanted to get the job done for this poor college that didn’t deserve the hand they were dealt. Here is the strategy that I would have used and which I have used on a smaller scale, with success. This strategy is specific to this, er, “case study” (the college), but can be adapted for local clients, yourself, any version of the strategy you like. The social media manager, online reputation specialist, whatever the title, goes to the organization and makes it their temporary home. If you are doing this for another organization, it is nice if you get paid 😉 The reason that I recommended being “on location” is that the phone calls (I’ll get to that) would show the name of the college and this would lend to the credibility of the strategy. Set up shop (a.k.a. office). Remind the organization that it is important that the phone be one of the organization’s phone so that the recipient of the call doesn’t think it is some fly-by-night operation or marketing spammers (do they call it that for phone calls?). Oh, another thing. Define how you will be recording and tracking your progress. For me, I would develop a database, but then I am a programmer. Possibly, the school has some IT students who would like to help. At the bare minimum, set up some Excel documents and put them on a shared drive so that you can use them with a potential team (more on that in the next point). Meet with the organization to get a “list.” In this case, I was targetting the alumni of the college. Oh, did I mention? This particular college had a very dedicated alumni. They were loved! Also, as an added benefit, many of the alumni were bloggers. This isn’t unusual, to find a few bloggers on any list. It is helpful if you have a list of those bloggers off the top, but if not, you can grab some college students and have them help you research the alumni list to find those who are bloggers. See if you can get the school to give some college credit or work study to the students. Have the college make a general announcement that they have a team helping with PR. Ask for those alumni who would be willing to help (put them at the top of the list). Also, invite those who want nothing to do with PR to respond so that they can be removed. Most people won’t respond and they would stay on the list (unless there is some law or something that is being broken). Be sure to keep this on the alumni communication and as private as it can be without avoiding the announcement entirely. It is possible that the announcement is not possible, depending on where the bad press is coming from (i.e. the bad press is from an alumni member). This is a college-level decision. The idea is to be courteous to the group and that is why you are providing the announcement. Start the calls. Log the results. The idea of the call is to greet the individual and quickly identify who you are and what you are doing. The “script” should be run be the staff of the college to find the most concise way of introducing the conversation. Remember, most people are likely to think it is a marketing call, so pretty early on you will want to ensure that that this is a request for help from their beloved college. The objective is to have the blogger write up a testimonial on their blog about how much they love their college. They could suggest alternate ideas for articles, which would help to add to the diversity. Be sure that you are not offering the bloggers anything. This is not a paid or sponsored post. Instead, it is a “cry for help” and asking the blogger to share what they have likely already been telling people anyway, but to put it in a blog. Be sure to find out when they intend to publish the article. Don’t pressure them, but mark down the expected date in your database or Excel spreadsheet, for follow-up later. Give them a few SEO tips and offer to meet with them after they have written their article, if they would like some help with polishing it or getting that SEO right. Most will take you up on the offer. They may even offer to send you the draft and have you polish it and SEO-ize it for them. After all, they love the school and want to help. Offer to write the article for the bloggers, if they like. You want to write it in their voice, for their blog, so set up a time to interview them and get an idea of what they think about the college. This may be an opportunity to expand the content ideas to podcasts, video interviews, videos of the school, infographics, speaking opportunities (published, of course), slideshares.. you name it. Bring some students in to help with content production, if need be and possibly another class, teaching the students about marketing, SEO, branding, and hey… online reputation management! Follow up with your bloggers to ensure that the content is published and also to have a record. During this process, also have a Social Media Marketing Strategy (social sharing) alongside the blogging and blogger outreach. For those who do not have a blog or are not interesting in blogging, ask them if they would be willing to share the articles. Set up a secret Facebook group and ask if the alumnus wants to be added to that group. In that group, share the link for the most recent published article so others can share. Remind them to share on G+ and comment, as well, since that also helps with SEO. Don’t forget to suggest organizational blogs. So, if you are talking to someone who is not a blogger, but they are interested in helping, maybe you could have a college student write the article and they could see if it could be published, say, at their local church’s blog or a community blog. Remember, we are thinking outside the box here. Now, review your progress, your results, and repeat as needed. Can you visualize it? In the situation I referenced at the beginning, this method would have pushed all of the accuser’s posts out of the way. By mere quantity of participants (I happen to know there were hundreds available to participate), her posts would have had little attention. Oh, they would exists, but there would be a flood of the positive to cover up the icky posts. Remember, this is just an example, a predictive case study if you will. You will need to change quite a few steps for your organization or situation, but it should give you some ideas and stimulate your strategic minds. Hopefully through this storytelling method, you can see the value of the Online Reputation Management, or at least understanding that it exists. 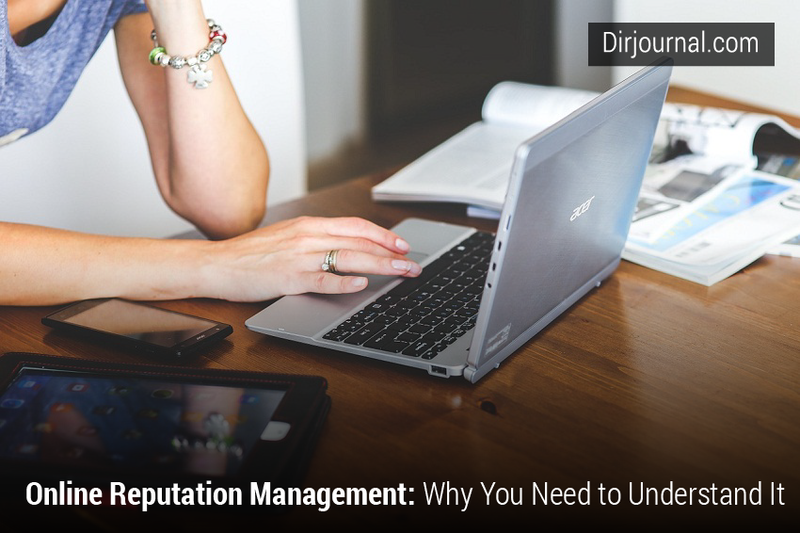 Also, this is really only one aspect (well, two) of the online reputation management process. There is more to learn. However, I have some links for you. Deborah Anderson (aka Deborah E in music circles) is the subject matter expert in Video / Hangout and Social Media Strategy. She is the co-host of the Social Web Cafe TV "Marketing Momentum" show on iHeart Radio. More recently, she developed (and was the Director) of the project management office at Jim Boykin's Internet Marketing Ninjas. Add to that the programming, psychology, and corporate management experience and she is ready to share tips with YOU. Are You Ready to Offer BitCoin as a Payment Option? I’ve seen many businesses blindsided by bad publicity – especially those who don’t already have an online presence. The best prevention is to claim all your local listings and social media accounts. They will usually outrank most negative mentions so they never even get to page one. I explained how in Living in Terror of Negative Reviews? Getting positive mentions is the key to fixing reputation issues. This is a creative way I would not have thought of as usually we would recommend the person do something of note for others to notice and write about rather than inviting them and pitching the idea. Either would work. Gail – great tip on claiming all of the social profiles and local listings. Thanks for mentioning that one. You have done a nice job with grabbing ‘growmap’ so that it is easy to find you. Also, great article share. Thanks. I think a big mistake most make is not caring about their reputation until something has gone wrong. If you work on building a solid reputation for yourself ahead of time, then you will (hopefully) have hundreds of positive mentions online to drown out the one or two bad ones as opposed to only having the one or two bad ones out there. Good point, Kristi. Yes, the ‘not caring’ is damaging and really does create a larger workload than what needed to be there in the first place. Really good approach on the online reputation management topic. I think the main issue here is with this hunger of companies and basically any website or business to get online recognition. A lot of us participated, and it’s good information treating all major topics related to online and brands. I know for .e.g, one of my former clients had a huge issue with reputation management. Some competitors wrote false accusations on scam.org and other similar websites about her local business. Luckily, she was able to find out who they were and sue them for liability (I think that’s the term). However, here’s the problem: while Google will remove false accusations and fake bad reviews of your business on their local domains (i.e. Google.co.uk, Google.com.au), they will not remove it from the Google.com main website. According to some constitutional entry, they would be breaking the law. Thanks, Roxana. Yes, that is a sad state of affairs (the example you use). I like your recommendation of positive action moving forward, creating that foundation of ‘good’ through the building of a community. That is excellent preventative advice. Thanks, also, for the chat suggestion – #MentionChat. Deb. Great example of using outreach to wipe away reputation-damaging content. I think the key is finding the people who care, have a means to producing the content and then, helping them to actually get that content online (as you suggest). I think there are a lot of businesses (or individuals) who can benefit from this type of approach and thanks for posting! Thanks, Tom. It was helpful to use this real life example because it was, well, real life. However, like you mention, finding people who care is really key. In the example I shared, they already had a group of people who cared. For us online people, that could be that community. Like so many comments here, creating that community is preventative and also helpful in an application like what was used in my ‘case study.’ Thanks, again, Tom. For an organization, such as a collage or a school – getting the numbers is easy. It was difficult a few years back, but now we have many bloggers who perhaps haven’t even left the collage yet. This is one of those reasons why every company should motivate their employees to run their own blogs and perhaps even provide gifts and bonuses for maintaining strong social media profiles. While we can’t get the negative reviews out, flooding it away with positive reviews is surely a great idea. I remember when we got a particularly sticky negative review to the 2nd page of Google’s search. The review was on a strong blog which was difficult to beat in SERPS. So, we flooded it with a combination of “News Results” and “Social Media Results” etc. which took much of the search page for that specific keyword – pushing the “authority negative review” on the page 2. We also worked on the company’s “additional links” which shows under the search for companies names. That expanded the search page further, helping in pushing the negative review further down. Thanks, Uttoran. Good for you on your own online reputation management success story! Yes, that is really heart-sinking to see something like that (a negative review). And, I know you. You are a quality person, with a quality service 🙂 However, many times (and this is human nature), people will tune in on one aspect and because their emotions get the best of them on that one aspect, they will highlight it as if it is everything. To some extent, that may make sense (i.e. insulting customer service.. making people cry.. or something extreme), however many times it is something that just needs a little tweaking, by the original company. Sadly, the impact of that review has a larger impact than it deserves, if you really compare all of the aspects.